“My Dearest Friend” is how she began nearly all her letters to her husband, John. I refer, of course, to Abigail Smith Adams, first Second Lady and second First Lady of the United States. Her famous correspondence with John Adams produced nearly 1,200 letters over a span of some 40 years, leaving us with a priceless record of early American lifefrom household routines to war and politics to expressions of personal worry and devotion. Abigail’s handwriting, while not the most beautiful, is sure and expressiveas befitting her extraordinary sway and intelligenceand carries a genuine flavor of the period. 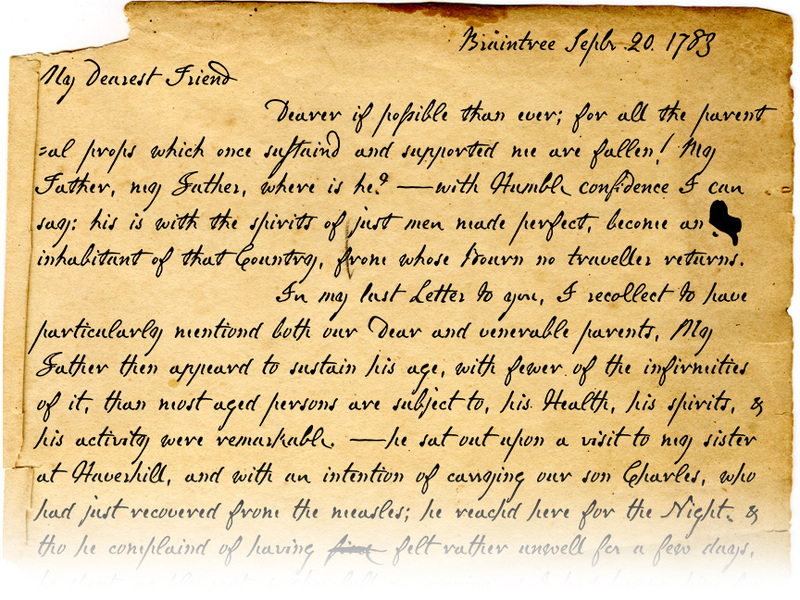 In making the font that bears her name, I focused chiefly on “Portia’’s letters from the 1780s and ’90s, when she’d taken to using a disconnected cursive, which struck me as distinctive and alluring. OpenType features include scores of ligatures, stylistic and contextual alternates, lining and old-style figures, crossouts, ink blots, and complete Central/Eastern European alphabets. US$39.